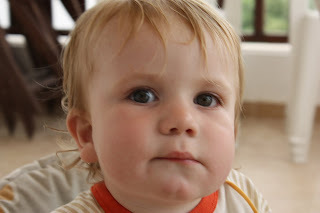 You wouldn't have known that I have written you a blog post every year since your first birthday but I realised that this year you would understand them for the first time! Of course, today's the day you turn six, it's your birthday today, and that means it's party time! I think I may be just as excited as you are this year and I am really looking forward to it - I hope you enjoy it as much as I've enjoyed planning it! It's been a busy year for us hasn't it, with our new family business starting up and Daddy and I doing lots of work, I know you sometimes don't like the fact we have lots to do but you are becoming a good helper and I love that you are enjoying using your camera and want to work with Daddy when you are bigger. and more recently 'on this day' on facebook. If you haven't gathered by now, its an app which shows you your photos and statuses from 'this' day in previous years, and via the facebook one even posts to your wall and comments on stuff. It is strange to read things that I'd written so long ago and to think of how much things have changed, and the random rubbish I used to post too when my friends were just a small handful of only 'real life' people. 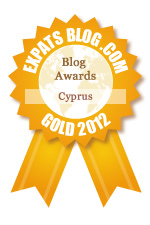 Of course, the most interesting comments (alongside the 'moving to Cyprus month) to me now are the bored, ramblings of my overdue big fat pregnant self during May 2009. 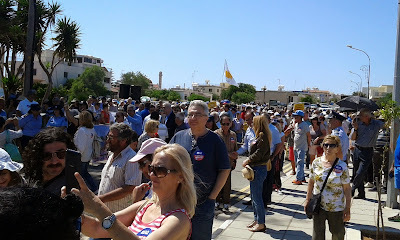 Since the launch of the FPN I am often invited via facebook to all kinds of different events, by all sorts of people, which are often only written in Greek. As much as I try to translate if I can't figure it out I won't share it (it could be anything!) and I usually dismiss them until if and when it becomes apparent what they are. Once such event was the 'ΝΑ ΑΝΟΙΞΕΙ Η ΛΕΩΦΟΡΟΣ ΤΗΣ ΕΠΙΣΤΡΟΦΗΣ' It was only once I realised that many of my contacts had been invited and after reading an article in the Cyprus Mail that it got my interest and I realised it was an event to try and get the checkpoint in my village Deryneia opened. With the peace talks between the Cypriots leaders having just restarted I excited to see another positive step being taken towards the future and I knew I had to be there. In 2014, after a few casual photo shoots for a local pub and guesthouse Aaron set up a facebook page initially for ease of sharing the photos. He has always been a keen photographer with a good eye for a photo and before long it became an enjoyable sideline for him. The word started to spread and some work trickled in from various places, birthday parties, shop opening and product shoots to name a few, 'Aaron's Klik Photography' as it was then known started to be a 'thing'. 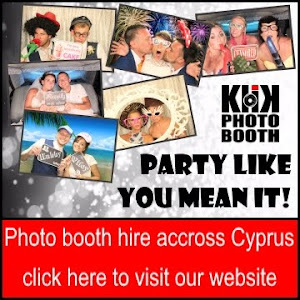 Just before Christmas 2014 we rebranded to become known as Klik Photo CY and it became a family business as we took delivery of a brand new digital photo booth. 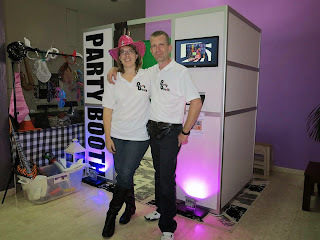 The Party Booth as it became known was now available to hire, island wide across Cyprus! We were starting to spread the word, and let everyone know what we were about. 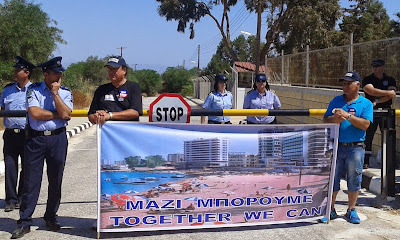 Although I have a huge interest in the division of Cyprus, and fate of Varosha, opening of the dividing line etc it's something that I have very rarely mentioned on my blog. The reason being is that although I try and find out as much as I can, I am by no means an expert and I wish to avoid getting anything wrong. The subject is fraught with difficulty as you try and remember the correct way to mention it - its very confusing for someone who is essentially an outsider to remember that the difference between saying border / checkpoint, whether you say the north of Cyprus, or North Cyprus, the Republic of Cyprus or Southern Cyprus, the Green Line / the dividing line / the border / the buffer zone / Atitila Line and the list goes on. You may have noticed that I have been blogging less frequently than I used to and there's a whole host of reasons why, I miss it though and it makes me sad to realise that my poor little blog has only 23 posts so far this year, previously I'd have done that many in just one month! I've got photos taken last year saved in folders awaiting the accompanying blog post, and I am part way though writing my 'Move to Cyprus' story which came to a sudden halt several months ago. It sometimes seems to late to post about something when that moment has passed but after recently reading through the Matter of Choice archives I realised that I would regret it if I didn't cover at least some of our adventures since the start of the year. 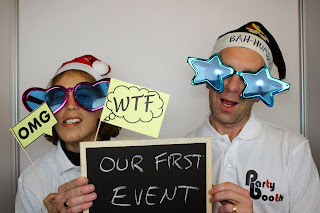 There is of course the big one - the fact that Aaron and I now run our own company, Klik Photo Cy, that of course is at least one whole blog post in itself, as is the fact that I I recently arranged the 2nd Famagusta Parents Network Fun Day.